If you are starting your own blog, it can be confusing to know which blogging platform is best for you. With so many to choose from, which one should you use? That depends on what you want to accomplish with your blog, your budget, your needs and how you expect to grow in the future. In this post, I’ll help you understand the difference between 5 different blog sites so you can make an informed decision about which one best fits your needs. What does Blogging Platform Mean? A blogging platform is a website where you can create and publish content on the Internet. It’s a type of content management system (CMS) that you can use to publish blog content on the Internet. A CMS is a software that helps you manage your blog content without having to understand a lot of technical information. The most popular and widely used CMS is managed WordPress.org with webhosting. With so many ways to create a blog website, I selected the top five that most bloggers use. Each one has its advantages and disadvantages which I explain. There is a lot that goes into deciding which is the best blogging platform for you. You may be in various groups and see bloggers recommending sites that they use. While getting recommendations may seem like a good idea, you don’t really know why a person chose that site or what their own goals are. It may be right for them but not YOU. It’s important to review all aspects of a blogging platform before you dive in instead of just listening to other people’s favorites. You need to think about now and look ahead to the future. For example, what if you choose a platform that is easy to use now, but impossible to switch to another blog platform later? Yes, that exists too and it’s a nightmare when it comes time to move your blog to another provider. As your blog grows, you need to consider whether the platform you selected can grow with you and what the cost may be. Sometimes, blogs that start out as free, can end up costing you more later as you add more features. Let’s dig in to these five blog sites. WordPress.org is a full featured blogging platform that is managed by a web hosting provider. You can install any plugins, which add additional functionality to your blog and post whatever you like. With the self-hosted WordPress, you have the freedom to do as you want with your blog. In fact, it’s one of the best platforms for monetization. It also powers more than 25% of the world’s websites. This option gives you complete control over the look, customizations and content. It’s the best platform if you are planning to pursue blogging long-term. Freedom to make money from blogging through affiliate marketing or selling your own stuff. Choose from over 42,000 plugins. Your blog can grow as needed. You can add features or move to an expanded hosting plan. You’ll have to learn how to use it. There are thousands of tutorials on the Internet and YouTube to easily learn the basics. There are many WordPress webhosts so it depends on where you host your blog. I chose SiteGround webhosting and highly recommend it. It’s fast, reliable, great customer service and the cost is low. SiteGround will transfer your current website for FREE! You’ll get to review it before it goes live too! I’ve used this service and it went perfectly! Expect to pay about $49 for an entire year of web hosting. That’s only about $3.95 per month. There are three hosting plans to choose from. But they are all a great deal and SiteGround is one of the best webhosts I’ve ever been with. 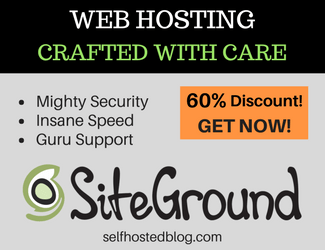 Get 70% WordPress hosting with SiteGround. Can you Move your Blog? Yes! You can move your blog to another web host if you want to. WordPress.org has import and export features. You can also do database backups to perform the move in other ways. Blogger is free hosting platform that is owned by Google. It’s a simple way to get started with blogging. Easy to use without a lot of technical knowledge. Uses a secure and reliable platform since Google owns it! Free Blogger templates to choose from. You can use affiliate links. Blogger has a limited number of features. Consider this as your blog grows. Limited number of template designs. You have to abide by Google’s Blogger policies. This means that Google can suspend your blog or cancel your entire account if your content doesn’t fit with their policies. Imagine if you have a popular site with affiliate links and Google cancels your account? Blogger is a free blog platform. Can you Transfer your Blog? Yes! You can export your Blogger blog and import into self-hosted WordPress. WordPress.com is the commercial version of WordPress.org. You don’t need to find a webhost because it’s already hosted and ready to use. You can register at WordPress.com and start your blog right away – for free. Everything is handled by WordPress.com as far as backups, updates to security and upgrades. Many bloggers start with this version of WordPress, however it’s not ideal if you want to turn your blog into a profit producing business. There are also a lot of hidden costs that will end up costing you more in the long term. It’s ideal if for personal blog sites that you don’t plan to monetize or grow. You can get started with WordPress.com for Free. You can started out of the box. Limited WordPress themes to use. Limitations to using ads and affiliate links on your website. Similar to Blogger, you have to abide by the WordPress.com policies. If you don’t your blog can be suspended or removed altogether without notice. You can start your blog for free. However, you may want to add features as you go along. That’s where the cost starts to add up. Yes! You can export your free WordPress blog and import to a self-hosted site. Wix is a popular hosted platform where you can build your blog. With it’s simple to use tools, anyone can learn the drag and drop features to create a blog. Wix starts out free and also has paid options that you can add as you need additional features. Read the list below carefully before you get started with Wix. If you plan to blog for the long term, there are few things you should know. Wix offers many templates and third party applications to add features. The drag and drop tools make it simple to build your blog. Setup is as easy as registering. Wix advertising and branding is shown on your free site. Limited number of third party applications (compare to WordPress with over 42,000 plugins). Limited templates that you cannot easily change. As with other free platforms, you’ll have to abide by the Wix policies. They can remove or suspend your account at any time. Basic $5 per month – connect your domain. The Wix plans are an outrageous price. You can get a better deal with self hosted WordPress! Can you Transfer your Wix site to Another Platform? NO. There is NO method available to export your blog posts. There is also no RSS feed. If you purchased a domain through Wix it will not be easy to transfer it away. WIX has made it so you are locked into your Wix blog. Think carefully about this before you move forward. 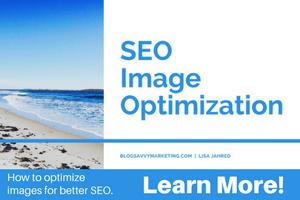 Many bloggers love using the Squarespace website building service. With it’s easy to use drag and drop tools, you can create really nice websites. SquareSpace is well suited for the small business who wants to create an online presence in the simplest way possible. Nice selection of design templates. Simple to use especially if you are not a techy. Start for free with no credit card required. Limited number of features available in SquareSpace. Limitations with the Personal website plan. Personal plan $16 per month. With this, your website is still limited to 20 pages. It also includes a free custom domain name and some other features including ecommerce. Business plan $26 per month. You can have unlimited pages, storage and bandwidth as well as some other ecommerce features. Can You Transfer Your SquareSpace blog? Yes. SquareSpace has an export feature if you want to move it to another blogging platforms. Now that you read about five ways to start your site, which blogging platform will you choose? It all depends on your long term goals. Self hosted WordPress is still the best blogging platform to make money and have the freedom to do what you want with your blog content. While some of the other platforms for blogging seem free, most users end up paying quite a bit to add features that they could get for much less had they selected managed hosting. Another area to consider is whether you can move your blog in the future. It happens more than you can imagine! You don’t want to get locked into a platform for blogging that you can’t easily transfer elsewhere. I hope this post helped you understand some of the pros and cons of various blog platforms. The best ways to move forward is starting with a platform that can grow with you and not end up costing some crazy amount of money. If you are ready to get started, I recommend SiteGround webhosting as one of the best webhosts for a reliable, fast, and cost effective managed WordPress.